Biodiversity is a key component regulating the structure and function of planktonic ecosystems and has important ramifications for the biogeochemical footprint of phytoplankton communities. Here, we explore ideas regarding the factors that generate and maintain plankton species diversity. Recently developed methods to investigate the genetics and behavior of planktonic organisms in the laboratory and in situ have provided insights into plankton ecology and evolution, including phylogeny as well as organism interactions with the biotic and abiotic environment. 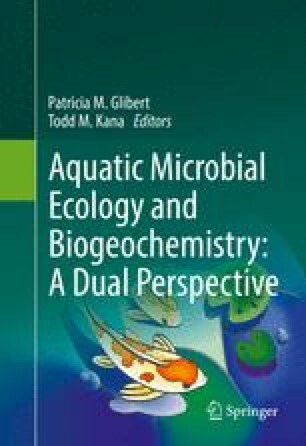 We suggest that the inclusion of an organismal focus that incorporates intra-specific variation could reveal factors driving marine biodiversity, strengthen the theoretical underpinnings of plankton ecology, and enhance our understanding of the population dynamics of microbes. Identification of these structuring mechanisms is not only scientifically challenging but also has significant implications for how we understand the functioning of planktonic ecosystems and our ability to predict how these ecosystems may respond to changing climate conditions. Since the New York Times featured our wedding announcement, there is little information that is publicly inaccessible about our relationship. Thankfully, the intricate details of our intersecting science interests were of minor interest to the NYT fact checker, so a few things are left to be told. We both had our first immersion in oceanography on a long cruise to the southern ocean polar frontal zone as part of the Southern Ocean JGOFS effort, led by mentor Professor V. Smetacek. During the cruise, a look through the microscope at the phytoplankton community composition gave a more accurate account of location and water mass than most other metrics measured on the cruise. This left us both with a lasting impression of the importance of an organismal perspective and a deep desire to understand the factors driving these distributions. As any good couple, we subsequently took vastly different approaches to pursue our scientific interests. One of us uses molecular tools to investigate the evolution, speciation, and biogeochemical function of phytoplankton and feeding ecology of zooplankton, while the other has focused on linking microscopic predator-prey behaviors with their population-level ramifications of plankton production, food web structure, and patchiness. With the help of supportive mentors, we have been fortunate to spend long stretches of our career in the same place, first at the Alfred Wegener Institute as technician and M.Sc. student, then as graduate students at the University of Washington, and finally as faculty members at the Graduate School of Oceanography, University of Rhode Island. Although we do not try to work together formally, sometimes it is unavoidable and we have coauthored a few papers. Nonetheless, our most productive and joyful collaboration matured in December 2013 when our daughter was born.